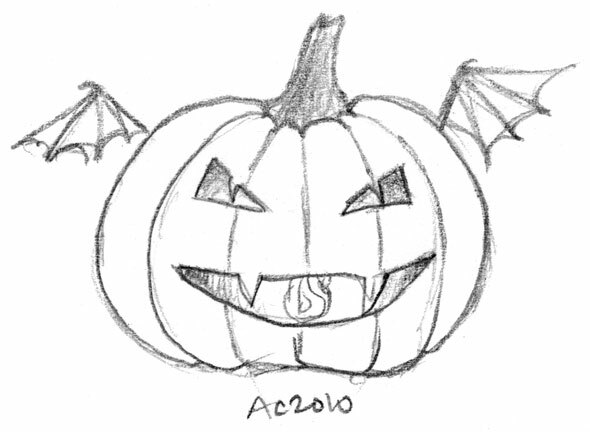 A continuation of last week’s Twitter suggestion from @etherjammer, I give you a cute little vampire pumpkin. I am tempted to refine this into some kind of motif or dingbat, he’s just so adorable. I want a stuffed one of him! Hee, thanks! I think that would be pretty cuddly, too.